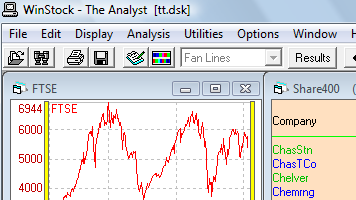 WindFall is a hands-free trading 'robot', producing steady, reliable profits. It works on the MT4 platform and is designed to be low risk so that it can use compounding to accelerate the growth of an account. Windfall monitors the markets and waits for a strong trend to develop before entering a trade. It then monitors the trade and is ready to exit if conditions change. 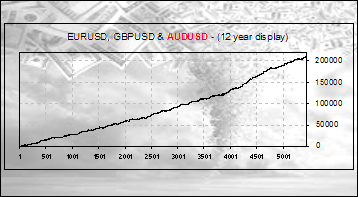 Windfall works on the GBPUSD, EURUSD and AUDUSD pairs and has a win rate of over 80%. The Analyst is a charting, portfolio management and scanning program. It has a range of indicators and analysis methods which can be appliied to individual charts or used as criteria to search the entire database. The portfolio management features let you follow watch lists or actual holdings and has various displays for viewing and charting the progress. The Analyst covers over 3,000 UK shares and 1,200 unit trusts, and has a free daily price feed.